Tayla Stinton underwent life-changing brain surgery in 2016. The surgery removed a small section of Tayla's brain that had suffered considerable damage before and after her birth. WITH no warning Tayla Stinton would drop to the floor and convulse for anywhere between 10 minutes or an agonisingly long 45. All her mother Joanne Williamson could do was call an ambulance and try and keep her daughter from hurting herself during one of her many epileptic fits. Tayla, now 12, used to wake up in a hospital bed and have no idea why. 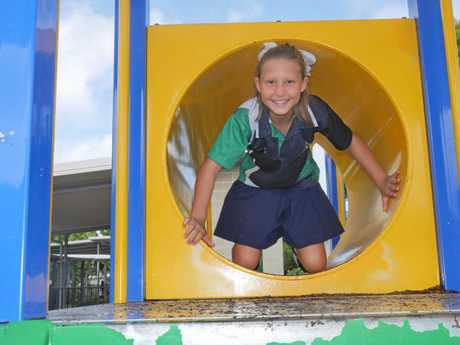 The Peregian Springs State School Year 6 student suffered seizures before she even left her mother's womb. At birth she had a debilitating stroke and doctors believed she would never walk or talk. However, 12 months later the young girl was proving everyone wrong and was on track to make a full recovery. The family thought the worst was over, until one day in November 2012. "She had a huge seizure one morning," Joanne said. "It was absolutely terrifying, it was very physical and there were no signs it was going to happens. She just dropped." From that day onwards, she began to have scary, unexpected seizures more regularly and the family had to make a decision. "Your mother instincts just kick in and you do everything in your power for your child in that moment," she said. Tayla was lucky that her condition could be operated on, but with any brain surgery, there were serious risks involved. "Not all epileptics have the option," Joanne said. "It was either she have the surgery or continued to have seizures. "The surgeons said it would be dangerous. They had to operate within millimetres of her left motor trip, meaning if something went wrong the whole left side of her body could be paralysed." 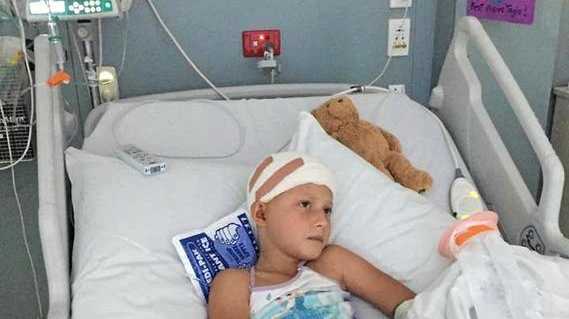 Thankfully the surgery was successful and although the first six months were spent in hospital and in rehabilitation, Tayla again, made a full recovery. 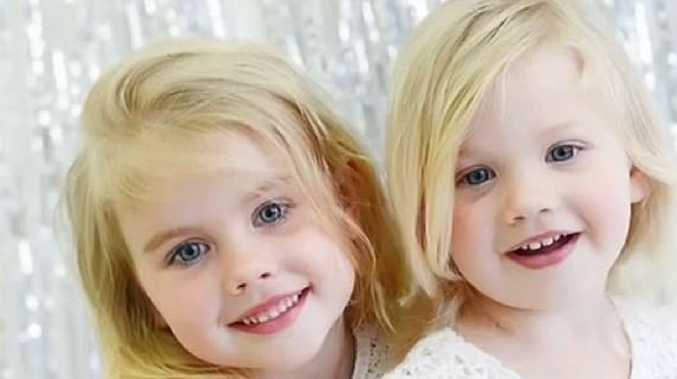 She and her mother have decided to climb Brisbane's Story Bridge to raise funds for Go Purple Day, an initiative of Epilepsy Queensland as part of Epilepsy Awareness Month. Noosa's Ochre Health has donated $1000 towards Tayla's climb. "I know my mum is scared of heights but she is going to do it with me anyway," Tayla said. "I want people to know about epilepsy because if someone had a fit, people near them would need to know what is happening and how to act. "If it were me I would hope to be around people who would know what to do." Joanne said she hoped her daughter's story would encourage other families with a child suffering from epilepsy to "trust the surgical outcomes". "Epilepsy is a common brain disorder, and yet, the major obstacles for people living with epilepsy are ignorance, stigma, discrimination and fear. "My message to other families is to have the courage to take the leap, because epileptic seizures are not only frightening to live through, they require lots of management, particularly when your child is out and about. "Ensuring normalcy for my daughter, so that she could keep going to dance classes and attending school, was my priority."